Greetings my dear colleagues, friends and fans! After many months of behind-the-scenes prepping, plotting, collaborating and yes, mischief-making, I am thrilled to announce the upcomming Ladies Of Mischief Knitting and Adventure Book! 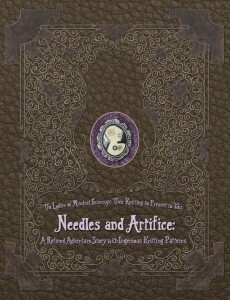 Far more than just a gorgeous Victorian Inspired knitting book, it will feature the exploits and innovations of the Ladies you’ve come to know and love. (And if you’ve not yet come to know and love them, might I suggest starting this tale at the beginning, or reviewing the handy Ladies page to your right). I have been intimately involved in the book’s production so far, tirelessly gathering the necessary artifacts and information to bring this collaboration to life. And believe me, it’s going to be something special. But before that can happen, I need your help! My collaborators and I have begun a Kickstarter Fundraising Campaign, where your contributions will be rewarded with fabulous, exclusive prizes. It’s also chock-full of project details, video, and (soon to be) exciting updates! 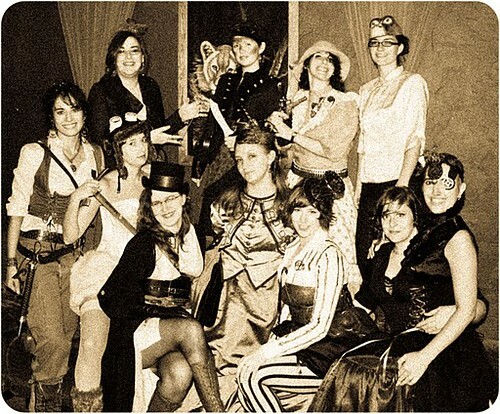 So please, take a look and spread the word – be a part of the Ladies of Mischief! Thank you all for your support so far! The exciting conclusion of Scent of a Lady is coming next week. See you then!